Lowest price in Castaic! NEW carpet! FRESH paint! CLEAN and move in ready! NO HOA FEES and NO Melloroos! Just 3 miles from Castaic Lake, you can park up to a 20 ft boat in the driveway! 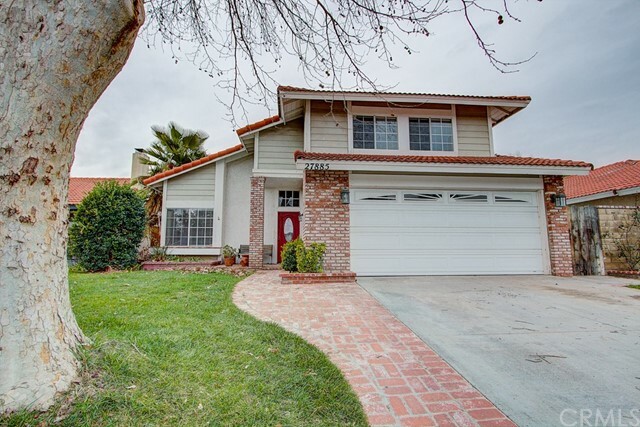 This Halsey Canyon Park Charmer will woo you as soon as you pull up. With the huge shade tree out front and brick walkway with sitting area, you&apos;ll feel quite at home. Walk into the formal living room and extra wide staircase that leads to all of the beds and 2 baths upsrtairs. With a formal dining room and family room off the kitchen, you&apos;ll never miss a beat. Head out the sliding glass doors to your covered patio and large backyard. Updated with copper piping, tank-less water heater and custom master walk in closet! This home is sure to check all the boxes in this highly sought after neighborhood. Walking distance to Ralph&apos;s shopping center, neighborhood park and elementary school. Call your favorite Realtor to see this home!